Language is a constantly changing process. For some reason, because of stubbornness, because we are boring, squares or simply because of the original ways we were shocked by the new, we are naturally averse to changes in the dictionary. Language changes, oral and written, and with it words. It hurts, but there's no harm in it. We need new words for new maladies, mundane needs and tasks that are complicated to explain. It was with this in mind that Luís Leal Miranda created the New Words New, a Tumblr / Facebook page, which was growing with these new words and this year gave shape to the "Dictionary of the Portuguese Language". Luís Leal Miranda did not stop there and created a publishing house along with La Lavandaria. Livraria Plutão was born, with two books that provide more solutions for words, their meanings, letters and their symbology. They are almost objects of art, the work of Luís and Lavandaria goes beyond the mere resort of entertainment, fun or simple wordplay. 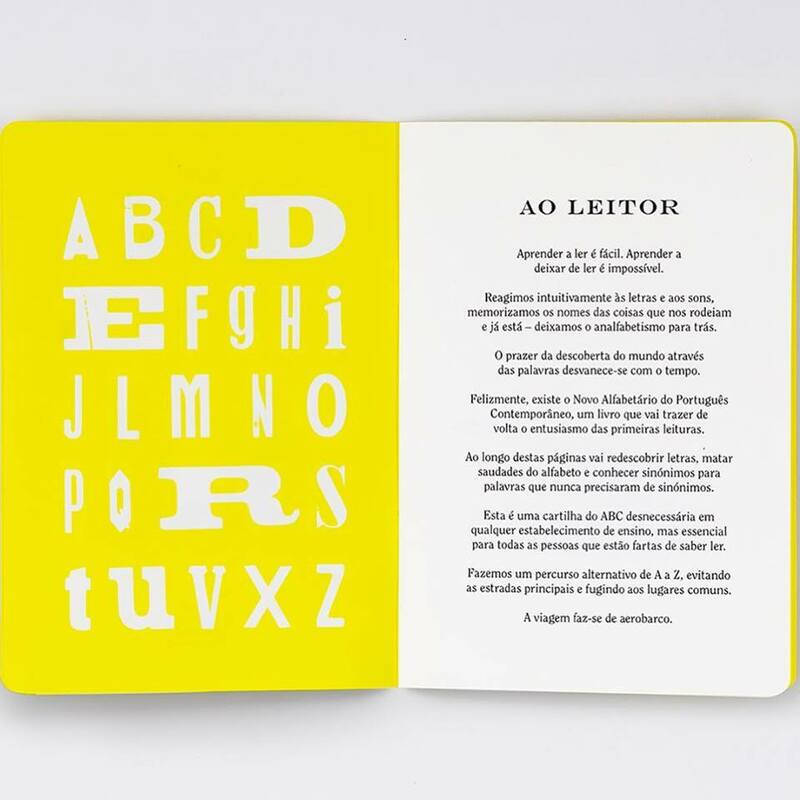 Both in "New Contemporary Portuguese Alphabet" and "The Secret Alphabet Letters" there are solutions to problems, resources to think about what we say, think and see. And it's simple, like the best good things. And it is good to realize what a "lake of earth" is.